texture faux leather case provides maximum protection for your Apple iPhone 3G! Soft internal layer of the Apple iPhone 3G Leather Cover protects your iPhone from bumps and shock. 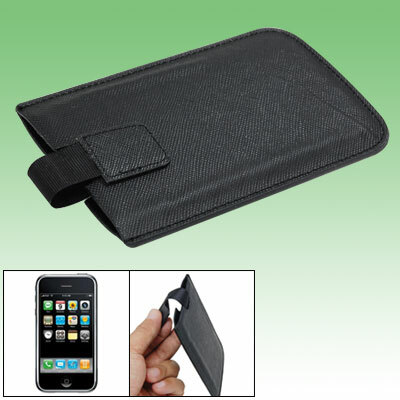 Simple and elegant, this Apple iPhone 3G Leather Pouch prevent your phone from scratche and ding without adding a lot of bulk. Accessory ONLY, iPhone 3G not included!